Consistency is the key; it showed the 1st week over 20km, and again over the last fortnite. It will obviously be dangerous to ignore this lesson during the ramp-up in the training period from March - June. As I am now feeling comfortable at 20km a week, my next step will be to start adding a short lunchtime session at the Newlands pool, which is just a block away from my office. A timid 1km session on weekdays will add 5km to the weekly total, and provide a platform to build off.The 50m pool is better for distance training, and the open sky also preferable to the artificial light in a gym, but the pool closes for the winter season just when I will need it most, and so will have to lobby the authorities for special access in autumn. Missing "tooth" in chart above left was a result of moving to a smallholding out of town. Cecilia & I are delighted with our new home, and will be joined by our 4 Arabian horses as soon as the paddocks are established. So far the horses have definitely got the best deal, as their accommodation (the newly constructed stables) is definitely superior to ours. However the increased distance means leaving home at 04h45 to get to squad training by 05h30 - I definitely won’t be seeing the sunrise much after mid-summer! 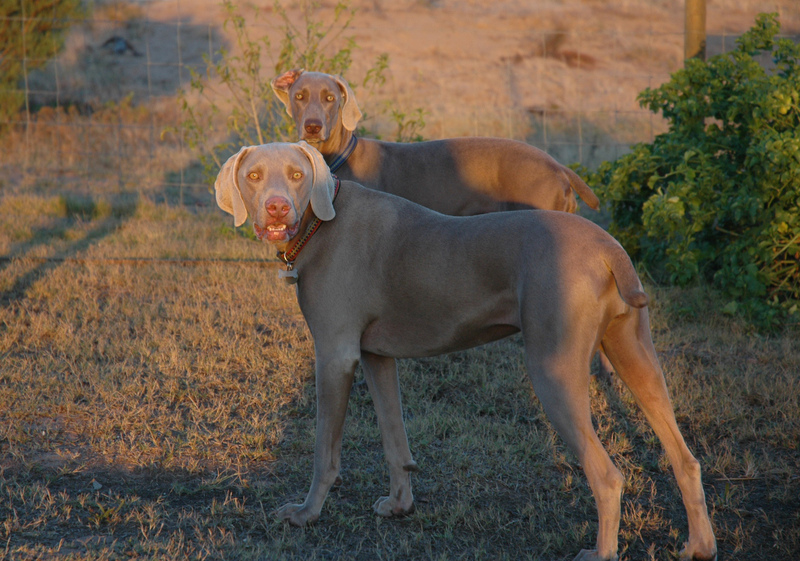 Beth (foreground) is now our 4th Weimaraner, and Kira and she are convinced that we have moved to the smallholding purely for their entertainment.